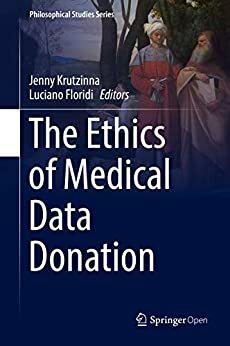 This open access book presents an ethical approach to utilizing personal medical data. It features essays that combine academic argument with practical application of ethical principles. The contributors are experts in ethics and law. They address the challenges in the re-use of medical data of the deceased on a voluntary basis. This pioneering study looks at the many factors involved when individuals and organizations wish to share information for research, policy-making, and humanitarian purposes. Today, it is easy to donate blood or even organs, but it is virtually impossible to donate one’s own medical data. This is seen as ethically unacceptable. Yet, data donation can greatly benefit the welfare of our societies. This collection provides timely interdisciplinary research on biomedical big data. Topics include the ethics of data donation, the legal and regulatory challenges, and the current and future collaborations. Readers will learn about the ethical and regulatory challenges associated with medical data donations. They will also better understand the special nature of using deceased data for research purposes with regard to ethical principles of autonomy, beneficence, and justice. In addition, the contributors identify the key governance issues of such a scheme. The essays also look at what we can learn in terms of best practice from existing medical data schemes.